We live in the world of the Google search box and the iPhone touch screen – and we have little patience for anything that takes more than a moment to figure out. This has implications for everything we do, from how we consume information, to how we learn, to how we exercise! 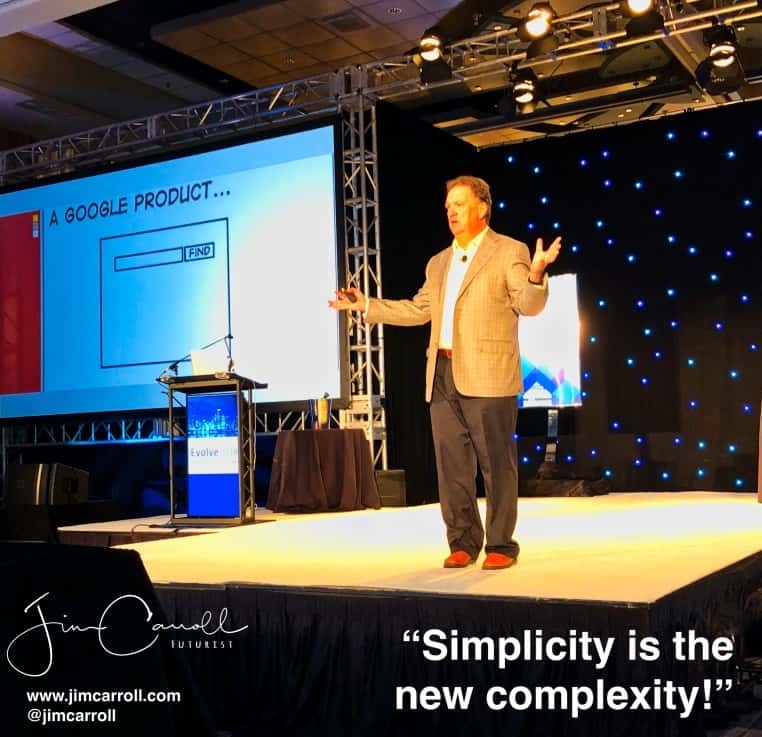 I often raise the point on stage that today’s consumer has little patience, a zero-second attention span, and a desire to do things in a rush. The challenge for my my clients – many Fortune 500 organizations – is that their customer facing systems need to talk to big, complex, vast back end systems. The result is a series of screens that are complex to navigate, difficult to understand and impossible to finish. Have you ever tried to apply for a loan or mortgage online? Every box that you don’t finish seems to scream at you! The same attitude bleeds into our lives off-screen. If we are given instructions on how to do something, it better be fast and straightforward. If we ask a stranger for directions, we’ll barely take the time to get past the second step. If we’ve got a gym routine explained to us, well….. Attention spans are challenged. Simplicity is the response!